J-JEP and Family Hebrew classes will report to Beth Shalom at their normal times. 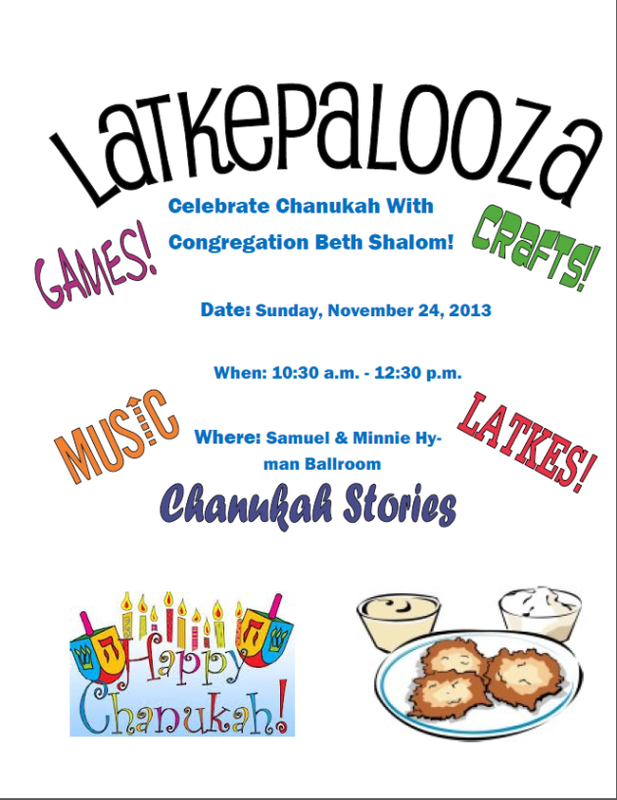 At 10:30 a.m., kids will be dismissed to participate in Latkepalooza! There is a suggested donation of $5/family.